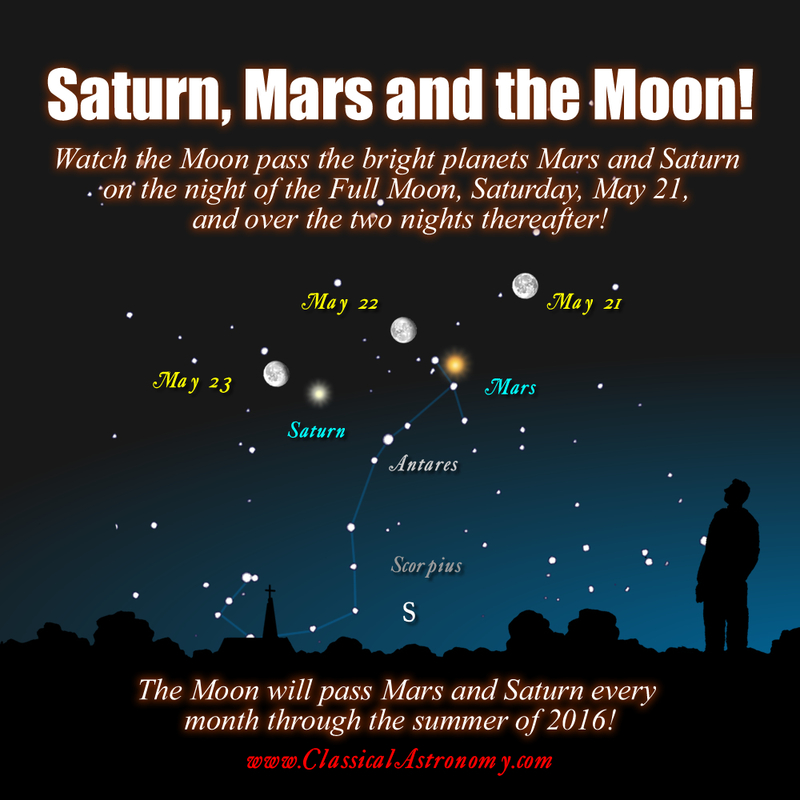 The planets Mars and Saturn are very close together throughtout much of 2016. Both of these planets are currently retrograding, which means they appear to be moving backwards through the constellations. The Full Moon swings through this scene this week, and this is therefore a great time to learn to identify these planets, and also the conspicuous constellation of Scorpius.